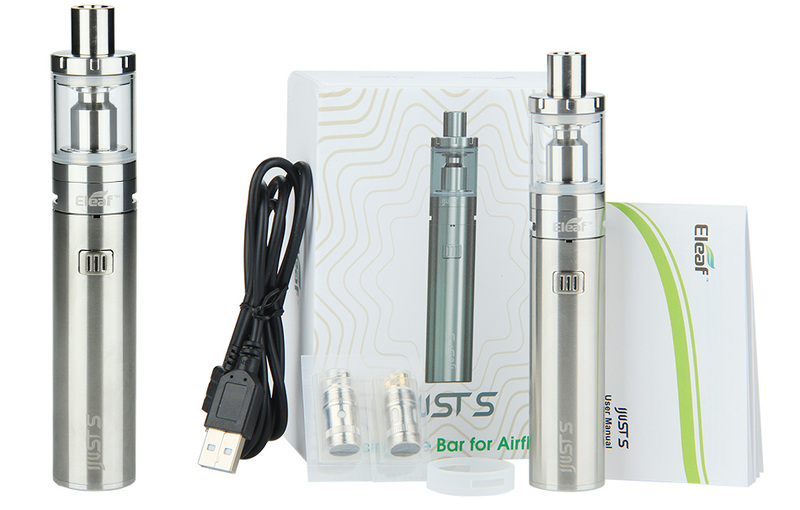 The Eleaf iJust S Kit is the next generation of the iJust platform, designed to be the full size, all day edition that packs in a massive 3000 mAh integrated battery coupled with the top filled 4 milliliter capacity iJust S Sub-Ohm Tank. The iJust S utilizes a direct output voltage system in which output is determined by the current state and level of the 3000 mAh battery, and features a large range of compatibility with atomizers between 0.15 to 3.5 ohms. The chassis retains the high end, heavy duty fit and feel while now measuring 24.5mm in order to support the increased battery capacity and is fitted with a side mounted Micro USB Port that supports up to a 1A input charge. The iJust S is operated by the enlarged and raised single button which is surrounded by a LED light that offers feedback to the state of the system. A spring-loaded Gold plated connection ensures consistent contact as well as allowing for compatibility with additional atomizers. Included with the kit is the iJust S Sub-Ohm Tank, designed to match the 24.5mm diameter of the iJust S, while implementing a threaded top fill system. The tank reservoir measures 4 milliliters in total, and utilizes the EC coil family, with the new 0.18 ohm SS316L coil making its first appearance with this set. Also included are the extremely well balanced 0.3 and 0.5 ohm EC heads, mating perfectly with the output curve of the iJust S battery. Airflow has seen a redesign from previous iJust tanks, with dual airslots measuring 12mm by 3mm each replacing the older quad airflow system. 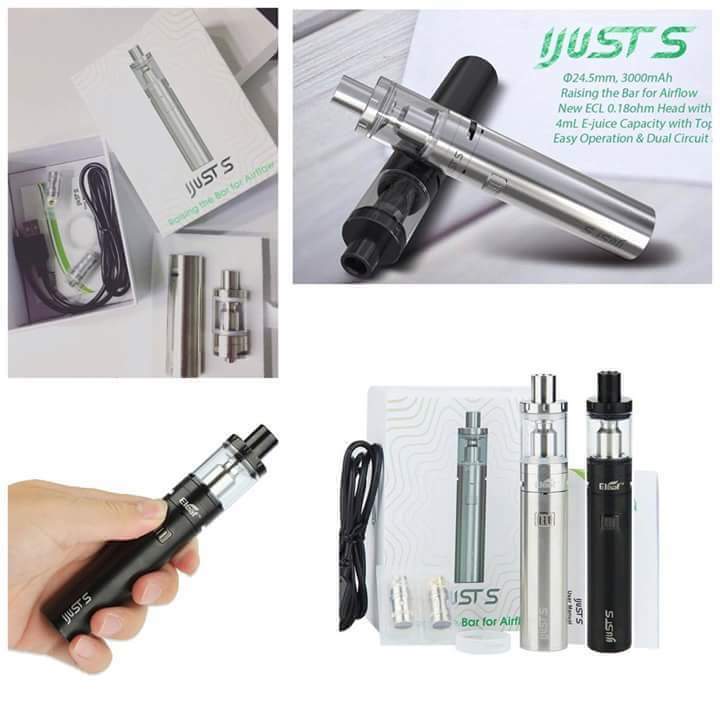 Built for modern day demands, the iJust S Kit offers outstanding battery life with a versatile Sub-Ohm Tank in an easy to use and affordable package.